Exclusive savings for Hersheypark® Season Pass Holders at Gettysburg. Save $5 on adult and $3 on children's tickets through April 14. 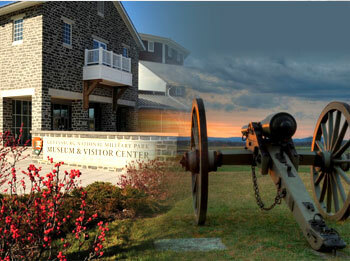 Your Hershey, History & Heroes visit includes the iconic Film, Cyclorama and Museum Experience at the Gettysburg National Military Park Museum & Visitor Center. Narrated by Morgan Freeman, A New Birth of Freedom places you in the midst of the momentous issues of the Civil War while providing an orientation to the complex Battle of Gettysburg. 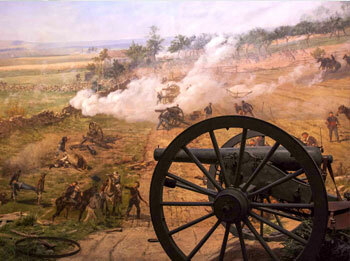 Pickett's Charge – the dramatic conclusion of the Battle of Gettysburg – comes to life in this massive circular painting through a spectacular sound and light show. 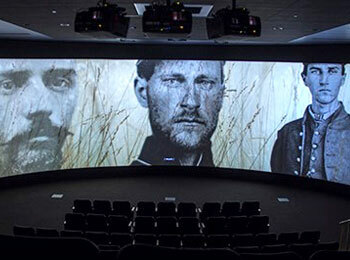 The world-class Gettysburg Museum of the American Civil War brings the past to life with one-of-a-kind artifacts, interactive displays and 9 short films. Want more History & Heroes? Add a battlefield bus tour to your experience as part of our Film, Cyclorama, Museum and Battlefield Bus Tour Value Package. *Hersheypark® Season Pass Holder prices are valid for online purchase of adult and children tickets to the Film, Cyclorama and Museum Experience only. Purchase and visit must be completed by April 14, 2019. Hersheypark® Season Pass Holder offer is not valid with other discounts or packages. Hersheypark® is a trademark used with permission.